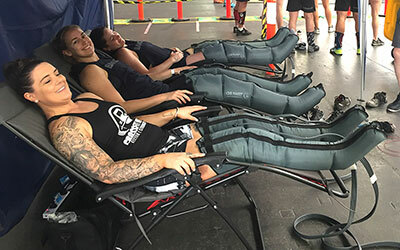 The Rebound Sports Recovery system is a pump using sequential intermittent pneumatic compression (SIPC) technology to help absorb unwanted metabolic waste and increase venous flow, leading to quicker recovery time which is essential for an athlete to achieve their peak performance. Affordable and effective; available for rent or purchase! Metabolic wastes such as lactic acid and carbon dioxide accumulate in the muscle after exercise, limiting the flow of oxygen and plasma to muscle cells. This is the core reason for muscle fatigue and Delayed Onset Muscle Soreness (DOMS) in sports people. The quicker these elements are cleared, the healthier the cells will be due to quicker delivery of oxygen and plasma to muscle cells. Find out more below. Renting before you buy is a great way to try whether a product is suitable for you. All equipment adheres to Australian healthcare standards in cleaning and disinfection between clients. In addition to our rigorous methods, our facilities are regularly tested by an independent laboratory to ensure cleanliness and safety. Click here for access to the latest clinical studies and other resources which will help you make an informed choice about our products. Click here for further information about this product including manuals, referral pads, forms, videos etc. Let us keep you informed of the latest advances in the field by receiving our news alerts. Is a muscle recovery pump right for me? If you are an athlete who needs optimal recovery time to get back to your sport, Rebound Recovery is the right product for you. It aids in the reduction of muscle stiffness and soreness and the repair of body tissues. 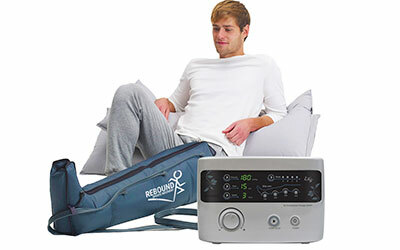 As a method of active recovery, Rebound Sports Recovery mimics the action of arm and leg muscles during exercise. However, Rebound Sports Recovery also goes one step further by achieving the added benefit of passive recovery as it is applied during rest. Rest saves the patient from expending energy and enables the muscles to be replenished with other essential elements. By applying pressure to the surface of the limb it promotes the circulation of blood/fluid throughout the body. Each chamber inflates and deflates sequentially starting from the extremity and moving towards the centre of the body. Our garments have four chambers each, which is deemed most cost effective and portable without compromising on therapeutic outcomes. Medi-Rent offers limb garments in the price of the rental, unlike our competitors who charge fees to purchase garments on top of the cost of the pump. A computer controlled power unit with easy to use and read touch-sensitive controls. Easy fit garments that are comfortable to use. Why hire a muscle recovery pump rather than buying one? Whilst most of our clients find Rebound Recovery beneficial as part of their recovery system, it doesn’t work for everyone. Therefore, we offer the options to hire monthly or buy. We also offer a Rent Try Buy scheme. If you decide to purchase your unit, we will refund up to three months of paid rental off the purchase price. What do I do if I encounter problems with my equipment? Medi-Rent offers a 24/7 phone service or problem solve any queries or problems you may have. If you cannot get through to our customer service agents, please leave a message and we will return your call ASAP. Variable pressure from 20-140mmHg (10mmHg increments). 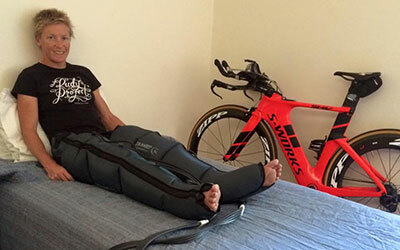 Two modes of compression – pre-treatment massage and therapy mode. Price includes two full leg boots. Other garments available on request including arms or trunk. Please call us to discuss terms, conditions, and delivery / collection options. We offer a Rent Try Buy scheme for this product. If you decide to purchase a compression pump, we will refund up to 3 months of paid rental off the purchase price. Simply click here to return your product either by courier or ParcelPoint. Our service representatives have a wealth of knowledge about our products and how they may suit you.